Trick or Treat! Quit Tricking Your Audience into a Bad Experience! Are You Scaring Your Readers? October 31st is Halloween in the United States. It’s a time of year that’s fun to scare unsuspecting friends or “trick or treaters” with frightening masks, creepy costumes and spooky decorations. 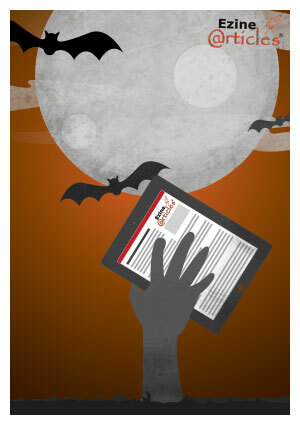 Let’s pretend it’s Halloween in the world of article writing. Can you think of things that would turn away readers? Perhaps it’s terrifyingly long, never-ending articles, bone-chilling topics, or maybe an in-your-face startling approach. As an Expert Author, you should avoid any alarming tactics that will disturb your audience. It’s crucial to practice pleasant communication so your readers don’t end up running for their lives! Listed below are 15 tips on etiquette to stop scaring away your audience. Follow along closely, you may be guilty of some of these without realizing! Uppercase or Lowercase? Learn the Case! The definition of capitalization is fairly simple. It’s the practice of making certain letters uppercase, or capitalized, when needed. Knowing when to use proper capitalization isn’t as simple, especially for non-native English writers. When it comes to capitalization, it’s important to use the correct case because it lends to your credibility as a writer. If an article contains excessive capitalized words in unnecessary situations, it will send a message of inexperience to the reader. If a brand or proper name isn’t capitalized, it could send a message of disregard for the lack of attention to detail. Bottom line, it’s essential to use the correct case! 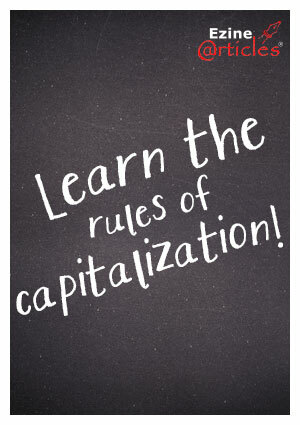 If you’re unsure of when to use capitalization in your writing, review the rules and examples below to give you a better idea. Success is Often Served with a Side of Failure. Hold the Failure. It’s not unusual for writers to chase success only to keep falling short of their goals. Failure is part of the process, and it should never force a confident author to give up. The feeling of defeat should be motivation to take on a challenge; it should be a learning experience to try a different approach. Here are a few examples of unsuccessful authors who became impatient and lost momentum with their writing. If you can see yourself experiencing the same frustration, pay attention to the tips that follow each example. Bill – A Daily Habit of Excuses: If Bill had time to write, he made excuses not to write. When he had excellent ideas for a new article, he convinced himself that the topic had been covered by someone else. He was no longer driven and passionate about his work. He had a barrel full of excuses and a bad case of procrastination. Have you ever viewed a website on your smartphone or tablet and found it difficult to read because it required extensive resizing and scrolling? This occurred because the website didn’t have responsive web design. 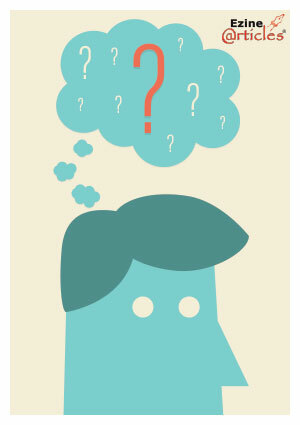 Is your website or blog responsive? If it isn’t, we highly recommend taking the necessary measures to provide a quality browsing experience for your readers. Wait, What is Responsive Web Design? A website with responsive design is built to provide an optimal viewing experience on all devices. In other words, the website is easy to read and navigate on desktop monitors, smartphones, tablets, etc. Responsive design is necessary because people now access the web on a multitude of devices. 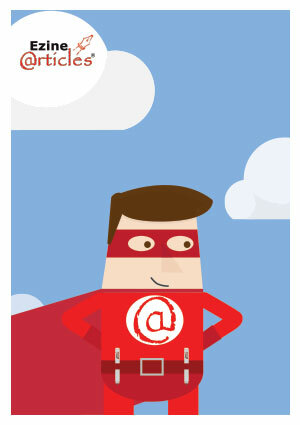 Smartphone and tablet web browsing already accounts for a large percentage of web traffic and will continue to increase. In fact, almost half of the traffic on EzineArticles.com comes from a non-desktop device. Are You Intimidated to Write? Content writing can seem intimidating with so many talented and experienced players competing to succeed. There are high-scoring players who are skilled in churning out massive amounts of quality articles; technical players who master the game with in-depth industry knowledge; and popular players who have built a huge following of loyal fans. 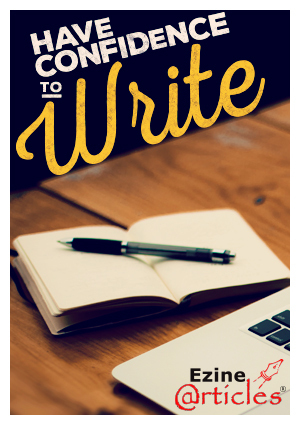 At times, content writing can seem like it’s one big, competitive business! Everybody takes a different approach. What works for some in a certain niche will not work for others in a different niche. In order to rise to the top, it’s important that you look beyond the intimidating players and have confidence to develop your own strategy instead. Let’s take a look at some of the “intimidating” players and we’ll share why you don’t need to be one of them to succeed. Intimidation: Understands search algorithms inside and out. Builds beautiful websites. Motivation: Having a tech background has never been a “must learn” for writers. As times have changed, the technical resources you desire are more readily available. There are intuitive tools to help beginners build beautiful websites. There are endless industry-specific blogs and newsletters you can follow to learn new techniques. In addition, you can always ask for help. Ask your question on a blog. Contact the website for support. Bottom line: Don’t be afraid to ask! National Punctuation Day is September 24! “Comma” Down to the Party! Did you know that September 24 is National Punctuation Day in the United States? Even if you hail from outside of the US, feel free to whip out your party hats and help us celebrate the ever faithful (and ever tricky) punctuation mark. Even the best writers get mixed up on what to use and when from time to time; that’s why proofreading is so important! 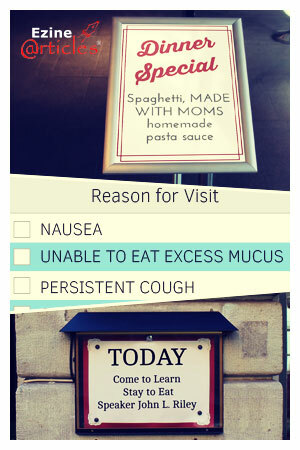 After all, we’ve all seen “punctuation fails” like the ones on the right. Mistakes like these can be funny, but they can also result in bad publicity, lost clients, or a decline in trust for your business. Read Often. Write Often. Repeat. The two obvious ways to become a better writer are: read and write often. However, with today’s increasing influence on technology and all of the world’s information at our fingertips through the power of the Internet, is basic reading losing its appeal? We don’t think so; we think lots of reading is crucial for writing success! If you’re looking for a spark of inspiration to help you keep up with your reading, these 5 ways will help keep you on your toes. 1. 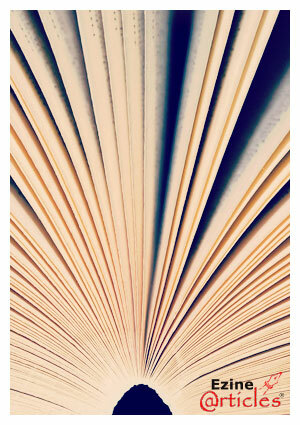 Expand Your Sources: Most people establish a routine when it comes to their reading material. Perhaps they prefer a certain author, follow an enjoyable blog, or check the same news site on a daily basis. It’s great to establish a reading habit; however, if you aren’t open branching out in your reading, it’s possible you won’t branch out and incorporate multiple perspectives in your own writing. Expand your reading online and offline to help you gain an edge on how topics are covered in multiple places. 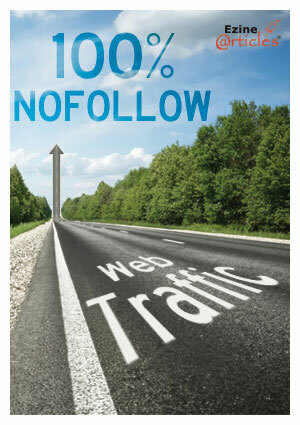 Effective today, we’ve updated EzineArticles.com to be 100% NOFOLLOW. Previously, we were NOFOLLOW on everything except for the Resource Box, below the Article Body. I sometimes feel we should have made this decision years ago, but our members made it loud and clear to us that they valued the links in the Resource Box that didn’t include the NOFOLLOW attribute, even though we’ve felt the importance of this attribute has been muted due to the several hundred signals that search engines now use to determine rank and search results. Today is a turning point where we believe there is more UPSIDE to moving 100% of EzineArticles.com to NOFOLLOW than a downside loss in confidence by members who may believe otherwise. 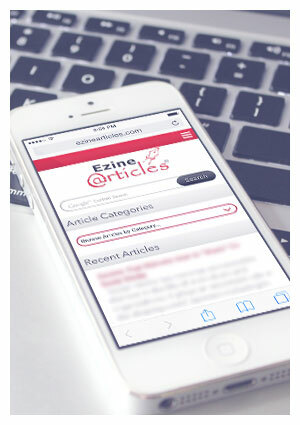 The goal here at EzineArticles.com has always been to help our Members to publish high quality articles that will increase traffic back to your website, help you build credibility and influence within your industry of expertise, and also to gain media exposure. Every single year, we have raised the bar and set higher quality standards to ensure we’re delivering the best end-user experience. In the past, we allowed Members to place up to 1-2 links in their Resource Box and these did not include the NOFOLLOW attribute. This meant they instructed the search engines to infer that these links should bleed value from our site, brand and reputation. This is One Popular Group You Don’t Want to Hang Out With! Rejection can be a scary word. No one likes to be rejected; and trust us, we don’t like to reject your articles! This is why we provide so many resources for you, such as the Editorial Guidelines, the FAQs, and the training materials and videos. We want you to succeed! However, we know that sometimes mistakes happen. If you find yourself on the receiving end of an article rejection, the best thing you can do is read the email explaining why the article wasn’t accepted, fix the mistake accordingly, and move forward! We’ve created this handy infographic that outlines the 10 most popular reasons articles are rejected. To view the graphic in a new window, simply click the image below and then click the image again to zoom in or out.